Surprisingly, the weekend offered both suitable weather (at least according to the weather forecast) and free time for birdwatching. Therefore I didn’t consider long , packed my equipment and went off for two nice afternoon trips. 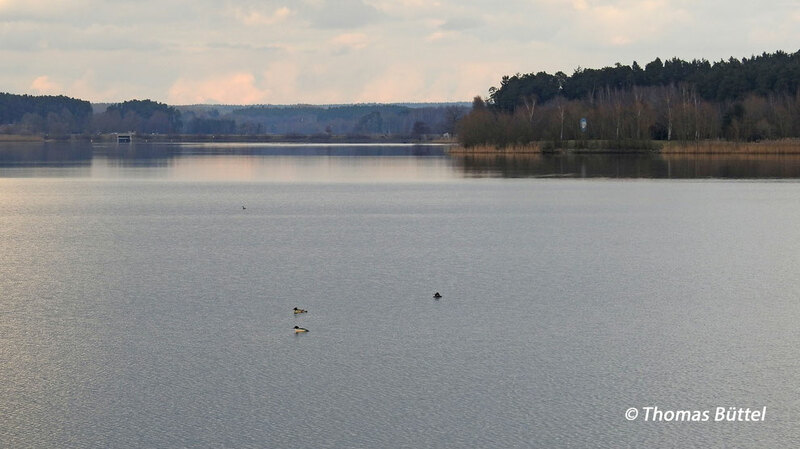 On Saturday I focused on the Brombachsee, which is the largest lake in Franconia and normally a good tip for water birds in the winter. Yet, having arrived at Ramsberg, a small village on the southern shore, the weather turned out to be an unpredictable mix of sunshine and snow showers. The most birds tried to find shelter near the shoreline, which actually helped me a lot. After a close examination through the scope I found a Greater Scaup, a Red-necked Grebe and a group of Shelducks, just to name the highlights. The next site I visited was the "Kleiner Brombachsee", casually spoken the little brother of the latter, which is situated immediately next to it. However, birding there proved to be quite disappointing. Hence I didn't waste much time at this point and went for the next birding spot, which is the "Igelsbachsee", also a small reservoir in the closer neighbourhood of the "Großer Brombachsee". 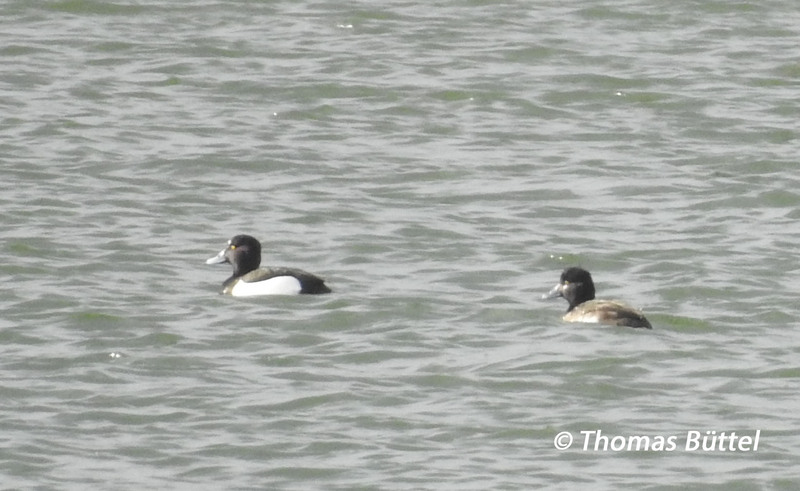 Generally, the situation was rather similar, yet I caught at least up with four Red-headed Smews and a Wigeon. On Sunday I visited the Rothsee, which is the last of the three large lakes of the "Neues Fränkisches Seenland" I haven't been yet. Hence I was primarily interested in the infrastructure and the whole situation rather than in birding. 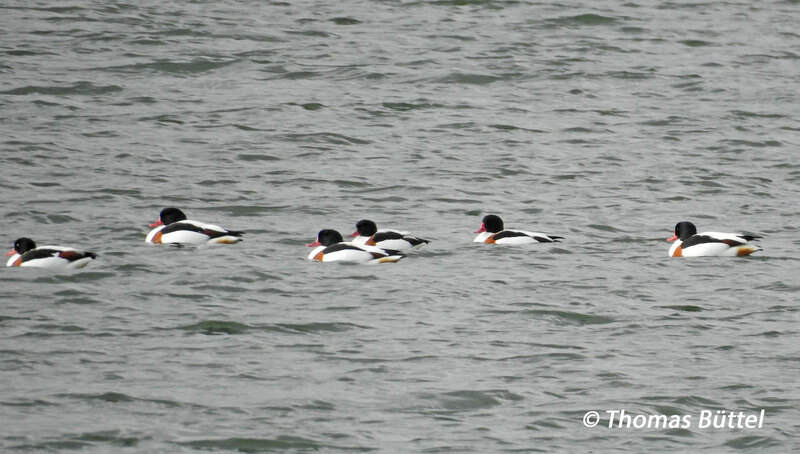 Indeed I only spotted common water birds like Common Gull, Goosander or Goldeneye, although admittedly I haven't been particularly careful. Generally, it seems that the Rothsee is on average less profitable than its larger brothers Altmühl- and Brombachsee. Nevertheless over the last years an impressive list of rarities has been recorded including seven tern species (no other site in german inland has more! ), so it would be fairly reckless to undervalue it.